Naruto was running harder than he had ever ran. It was October 10, naruto&apos;s fifth birthday. He was kicked out of the orphanage and than he was chased by a mob. He was reaching a forest he had never seen before. "Get back here demon," one yelled. "I&apos;m not a demon," he shouted. Just than naruto felt the ground giving way. Next thing he knew he was under ground. He looked up and saw a hole fifty feet above him. The moon shining he saw several heads appear. "He must have died," one said. He heard laughing. "Good riddance," another said. He saw then moving away. 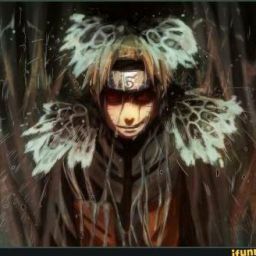 Naruto dragged himself up, he felt a broken arm, several broken ribs, and a broken leg. He hobbled to a wall. And started moving using the wall as support. It was pitch black. He tripped every few feet. He kept a slow pace for what seemed like hours. Until he saw a faint glow. He made it to the room and went in. He saw a small glass cage on a table. Inside was a neon orange scarab. He opened the cage and lifted the beetle out. When he had it levelled with his face it spread its wings. "Hello human," it said. Naruto starred in shock. "You can talk?" He asked. "No I am telepathic, what shall I call you." it said. 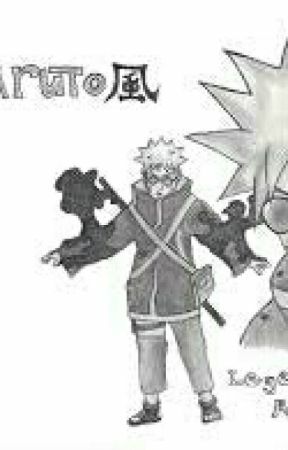 "So cool, I&apos;m naruto uzumaki next Hokage," he said. Shifting so his ribs weren&apos;t hurting. "Your hurt," it said. Naruto nodded. "Ya I was chased," he said with tears forming in his eyes. "I am a queen I can make you my host and help heal you," she said. "Ok but will it hurt?" He asked. The queen flew up and landed in his shoulder. "Not much but we need to find me a meal of bugs or something of that sort," the queen said. Naruto nodded and began his trek down the halls. After a hour they reached a cave that let out into a field. "So you know whet any bugs are?" He asked her, She buzzed before speaking. "Yes head straight until you reach a fire ant nest," she said. Naruto nodded and started walking after a half an hour he found himself by a small mound in the ground. The queen flew off his shoulder and landed on the hill. Several ants rushed up but a scorpion styled stinger. It started stabbing the ants and putting them in her mouth. The queen than laid several eggs that hatched within minutes. There were six ant like creatures. They had two needles in there mouths, and six began collecting more ants and feeding them to the queen. Within a hour there were 200 ants. "I am sending them to repair any damage to you, they will also be creating several hives in your body," the queen said. "Hives?" Naruto asked. The ants got to work sewing shut his wounds as she explained. "In your arms legs and torsos. Different species will live in different areas. I am planning on a few that will live under your nails to deploy defense," she said. By this time his injuries were healed. And the hives built. She even ate a wasp while waiting. He was sitting there thinking. "I can tell the workers to bind together," she said. than he felt a tingling off the bugs crawling the his skin, onto his back and forming wings that looked like the queens but red. than the began beating fast taking him into the air. "Where do you want to go naruto?" She asked. "Home, which is a big village near here," he said. The queen buzzed, than the wings began moving him forward. He stuck out his arms and felt the breeze the his hair. After twenty minutes he saw the village.